In the past few weeks, the Baskets family has grown, suffered loss, and embraced compassion and goodwill. Christine and Ken have become somewhat of an item. Christine’s mother, Meemaw, died and left everything to Christine, providing her with complete financial security. Chip has received steady birthday party work. Dale lost his job as President of Baskets Career College after continually shirking his duties. Along the way, Chip and Dale reunited their other DJ twin brothers Cody and Logan after a brief falling out, Chip helped his homeless friend Trinity acquire a job at Arby’s, and Dale helped her daughter escape from an aggressive boyfriend. In other words, the family have all undergone some self-improvement and learned to reach out to others instead of just focusing on themselves. 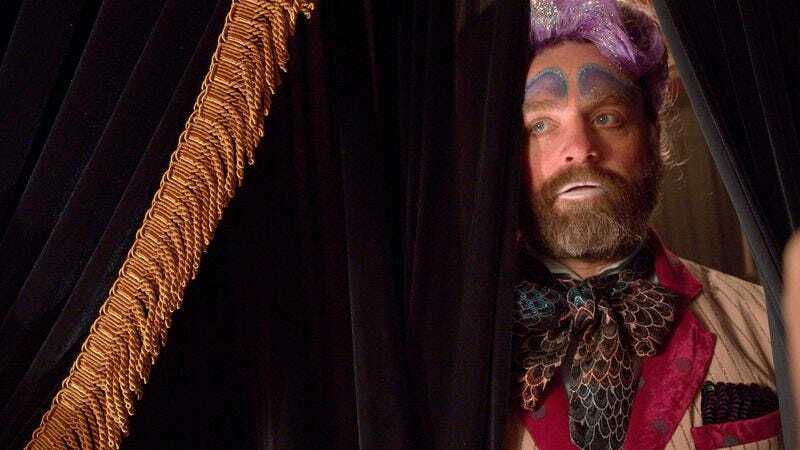 “Circus,” the lovely second season finale, emphasizes the closeness of the Baskets family after years of emotional distance. Chip lands a job with the traveling Russian circus after their lead clown, Vladimir, quits as soon as they arrive in Bakersfield. Meanwhile, Christine invites Ken to town and eventually discovers that Chip lives at the abandoned rodeo. Taking a cue from Ken’s family business, Christine decides to invest in an Arby’s franchise to bring their kids together, but Chip quietly demurs because he wants to pursue his dream. It’s a plot-heavy episode of Baskets, a tricky proposition for a series that thrives when it leans on character portraits over story. Though the episode’s story logically tracks, it occasionally jumps between plot points too quickly, e.g. Christine deciding to buy an Arby’s because Chip lives at the rodeo makes sense, but it all happens a little too quickly. Nevertheless, the episode largely works because it doubles down on the season’s great character work and it treats everyone with dignity and respect. Christine just wants the family to all be under one metaphorical roof, Chip just wants to be a clown, and Dale just wants…well, he wants a return to stability, I suppose. 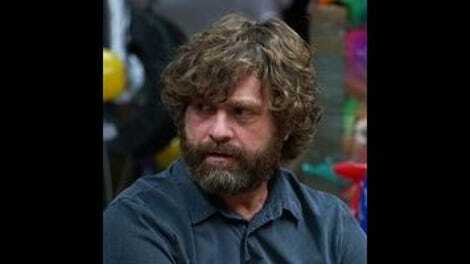 Galifianakis and company have laid their characters low so many times that they’re all ready for a fresh new start. But Chip doesn’t know that Christine was backstage and saw his firing. She instinctively knows that Chip’s clowning isn’t a hobby or a phase, it’s a serious passion that he wants to pursue, but he keeps getting kicked down again and again. After Chip exits the rodeo, Christine tells him that the whole family is proud of his work, and she means it. So what does she do to help? What does she do to make her family happy? She pulls out of the Arby’s franchise, rejects an offer from Ken to move to Denver, and buys the abandoned rodeo to double down on Chip’s dream. With Christine putting up the money and Dale running the business end of the operation, Chip can focus on his clown work and putting together the best rodeo possible. “We’re building an empire,” Dale says with pride. This past season of Baskets has focused on self-improvement and carving out a life in remote places. Christine finally comes into her own by exploring a life outside of her family while still helping them out at the same time. Chip escaped a life of homelessness and rediscovered his passion for clowning. Dale lost everything but came out the other side with a little more humility and a little more respect for those close to him. The Baskets family has been through a lot in their lives, but now they’re together again, and they’ve put all their support behind Chip. Whatever you can say about them, it’s always an interesting ride. My grades for the past three episodes — “Denver”: A; “Funeral”: B+; “Yard Sale”: A-. I hope Christine and Ken find a way to stay together. Those two have such a nice, amiable chemistry. It’s genuinely touching. Martha apparently started in returns at Costco but she refused to unionize, which is one of the funniest little asides in the series.